What is Religious Education or Faith Formation in the Catholic Church? Religious Education is the Program that covers catechesis for children age 7 and older and adults of all ages. Faith Formation is catechesis, (teaching the Catholic faith), which aims to deepen a relationship with Jesus through educational and enrichment opportunities. Designed to touch the intellect as well as the heart, these programs help people live and experience a more Christ-centered life. The goal of our Religious Education Program is to provide effective ways of teaching the Catholic faith to people of all ages and backgrounds. We create a connection to the new evangelization envisioned by Second Vatican Council, the work of recent Popes, and the Catechism of the Catholic Church. Ultimately, faith formation is oriented toward the question: How do I practically and authentically live the Catholic faith? At the Church of Saint Patrick , groups like Children’s classes, Confirmation classes for teens and adults, Bible Study, and Adult Faith Formation Ministries are the tools to help better understand the heart and mind of Jesus Christ and His sacrament, the Catholic Church. You can check our bulletin at churchofstpatrick.org to see what is happening each week. For more information, please contact the Director of Religious Education by email: Monica Kole or call 941-378-1703 ext. 309. Register for all classes! All students/families must be registered with the Church of Saint Patrick. Just like school, you must register every year your child attends to keep our records current. Grades Kindergarten through Grade 5. See Curriculum link to see what is taught to children by grade level. Classes are held most Wednesday’s in the Parish Center for Kindergarten through Grade 5 from 5:30 PM – 6:30 PM, October through May. Children prepare for First Eucharist starting in Grade 1 and receive the Sacrament at the end of Grade 2. 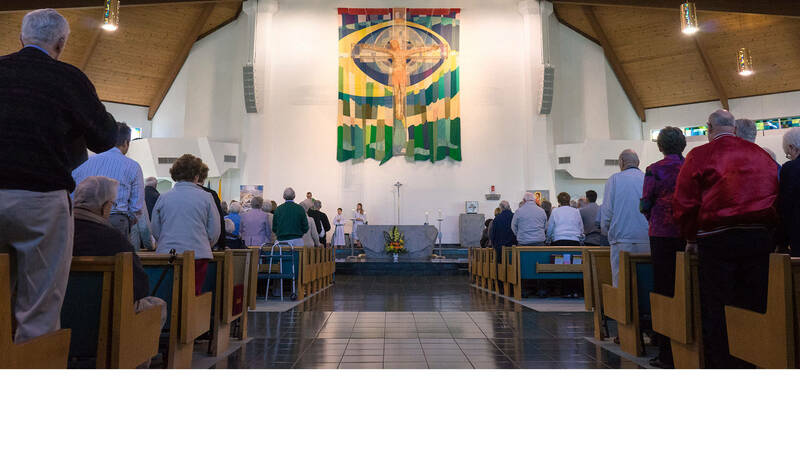 In the Diocese of Venice, Florida, Confirmation is a two - year program. Public school students must complete two full years of preparation. Generally, teens start in Grade 9 but, individual needs may vary. Registration starts every July. Students attending a Catholic School join the program in the second semester of Grade 10 (December). Classes are held once per month (usually the second Wednesday from 7PM -9PM) in the Parish Center. Contact the Director of Religious Education (941-928-0181) for more information. No college degree required. We will provide the necessary training.